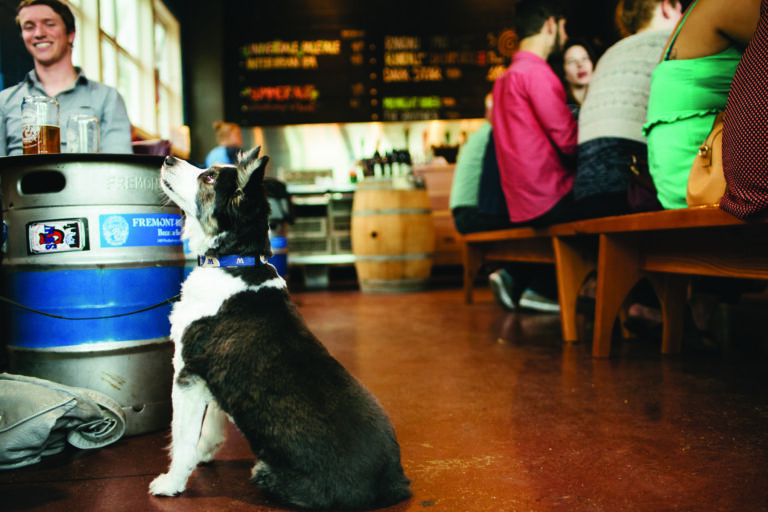 When it comes to dog-friendly cities, Seattle is a tail-wagging favorite. While many eateries welcome pups on the patio, spots like Norm’s Eatery & Ale House (460 N 36th St; normseatery.com) and The Leary Traveler (4354 Leary Way NW; learytraveler.com) allow them to sit at your table inside. For a pup dessert, try homemade treats at Nollie’s Cafe (1165 Harrison St; nolliescafe.com). Fremont Brewing (*3409 Woodland Park Ave N; fremontbrewing.com) is popular with hops fanatics and the pups who love them, while Beveridge Place Pub (6413 California Ave SW; beveridgeplacepub.com) has 36 tap handles and lets leashed dogs lounge inside. Seattle also has plenty of outdoor spaces for on- and off-leash romping. Stroll around Green Lake Park (7201 E Greenlake Dr N), or head to Warren G. Magnuson Park (7400 Sand Point Way NE) for nine acres of off-leash play. University Village‘s (*2623 NE University Village St; uvillage.com) open-air setting is ideal for bringing Fido along to shop, as are weekend farmers markets in Ballard and Fremont, which have especially high leash counts. For on-the-water adventure, let your pup play co-captain on Lake Union aboard a rented sailboat or rowboat from the Center for Wooden Boats (*1010 Valley St; cwb.org). Once your pup is all fetched out, head back to an area hotel to rest up. Many welcome dogs, including Alexis Hotel (1007 First Ave; alexishotel.com), where doggie beds are included, and W Seattle (*1112 Fourth Ave; wseattle.com), named one of the “5 Best Pet-Friendly Hotels in America” by Travel + Leisure.